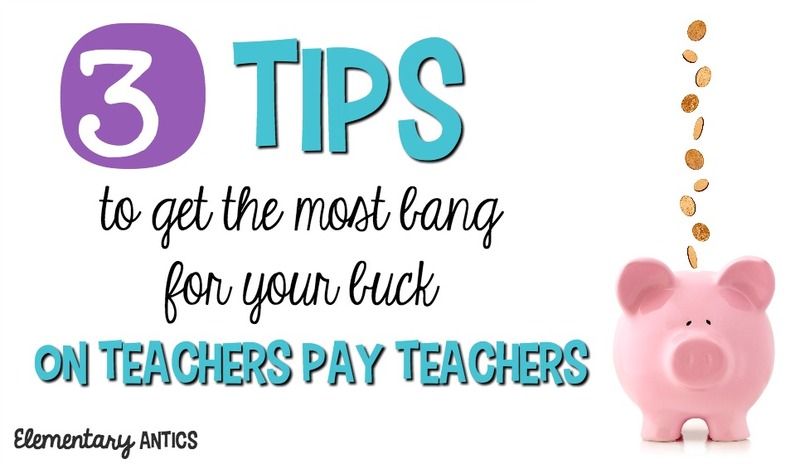 3 Tips to Get the Most Bang for Your Buck on Teachers Pay Teachers! 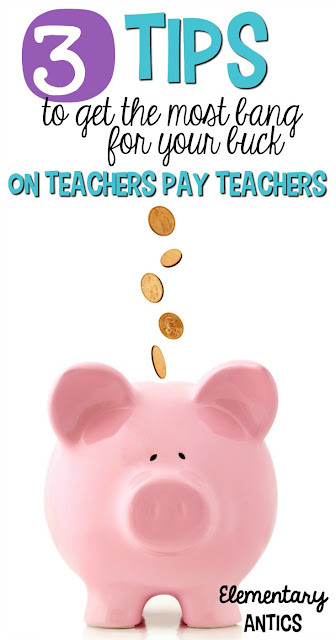 If you're like me, you spend some moolah on TpT pretty regularly! Let's make sure you're saving as much money as you can on your purchases. Plus, you make it to the end of this post you can enter an awesome giveaway for a $25 TpT gift card! 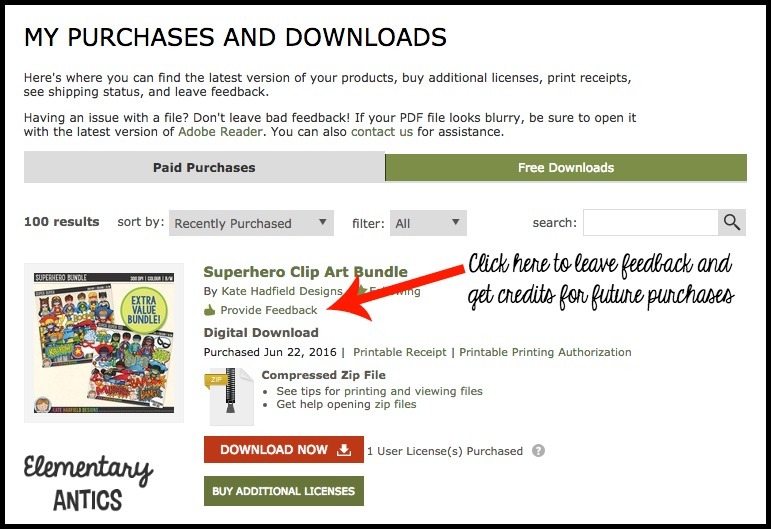 One of the BEST ways to get free stuff on TpT is by leaving feedback! It's so easy to do! After you provide feedback, you'll get TpT credits to use towards any future purchases. 20 credits= $1 and you get 1 credit per dollar spent. Believe me, it adds up! 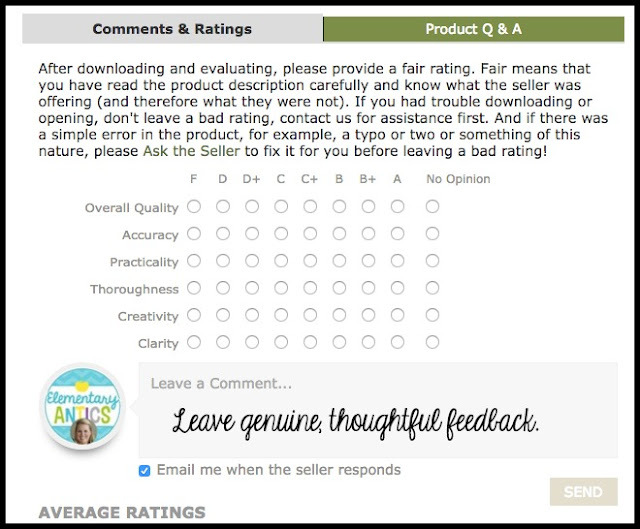 All you have to do is go to "My Purchases" and look for the "Provide Feedback" button. Click on it and it will take you to where you give feedback. 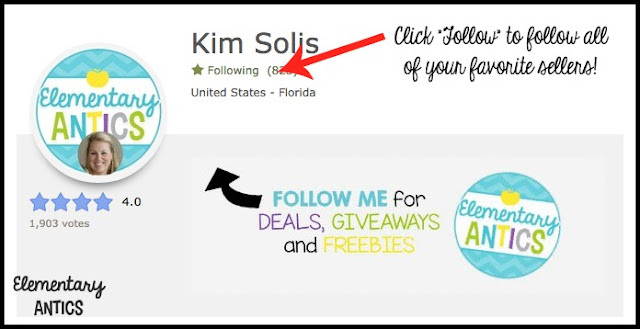 Be sure you are following ALL of your favorite sellers on TpT and on social media! A lot of sellers will have a significant discount on newly posted items or special sales. If you follow them on TpT you usually get an email each day about newly posted items. If you see something you like make sure you click on it! A lot of times the newsletter only shows the full price and it doesn't advertise the sale price if it's on a discount. For example, I usually have 50% off newly posted resources for the first 24-48 hours. FYI-Most of the time the email DOES NOT show this discounted price. So, even though my product is on sale for $2.00 it would show up in the email as $4.00- so click on the picture of the product if you have interest! Also, don't forget to follow your favorites on other social media platforms like Facebook, Instagram, Twitter, etc. A lot of people post about sales or specials they have on Facebook or Instagram and you won't hear about them if you aren't following! Example- I had a BOGO offer recently where if someone bought one of my newest resources they would get an additional resource for free! I only posted about this on FB and Instagram. If you weren't following me- you missed it! Lots of sellers also post special freebies on social media and/or their newsletters too! I venture to bet that on any given day there are a lot of stores on sale AND giveaways for TpT gift cards going on somewhere! You'll find out about most of these by following your favorite blogs or sellers on social media, but you can also go to the TpT website to see what stores are on sale or check on Google. Just google "TpT gift card giveaway" (or something similar) and click "Search Tools" and change the time to "Past 24 hours" or "Past Week" to see current giveaways. Now, make sure to enter the giveaway below to win a $25 TpT gift card! How to Store All Your Task Cards!